If you live in one of South Africa's bigger cities, you'll have undoubtedly noticed a steady increase in the number of Haval products on our roads. 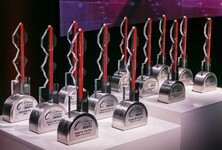 Attractive product at the right price, is a combination that is increasingly winning over once sceptical South Africans. But the best, as the saying goes, is yet to come. Haval's bread-and-butter offering in China remains the H6, but it's not the vehicle that you can currently buy in South Africa. 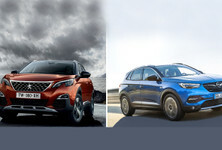 No, the all-new vehicle was introduced at the Shanghai Motor Show 2 years ago and has now, finally, been confirmed for South African introduction during the second half of 2020 (estimated). 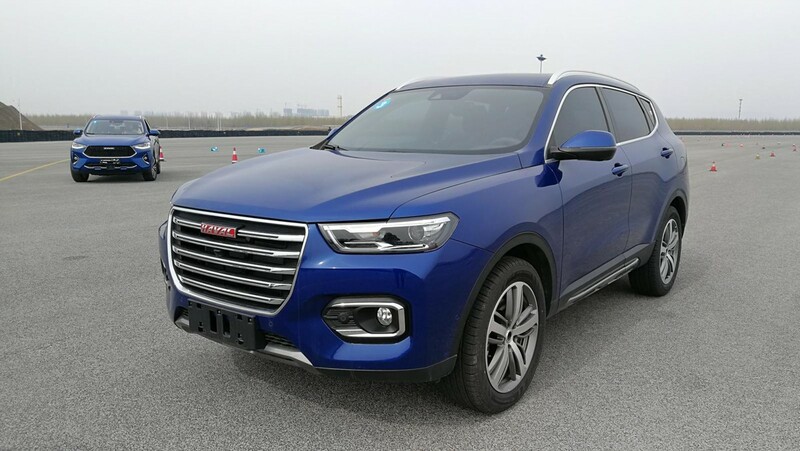 The new F7 is one of Haval's "international products" and has now been confirmed for South African introduction. 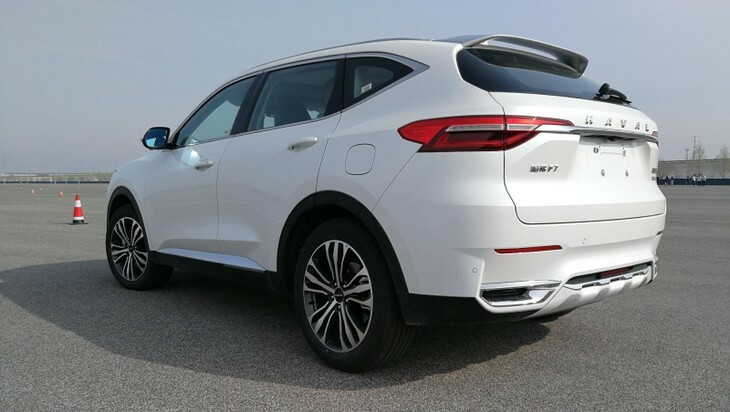 Joining it in Mzansi will be the stylish new F7, a similarly sized SUV that features more expressive styling and which is likely to be positioned slightly higher upmarket. The F7 will also be offered in a "coupe" variant, called the F7x, which perhaps surprisingly is also headed for our shores. 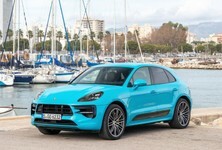 It might go on sale as a cut-price BMW X4 rival. 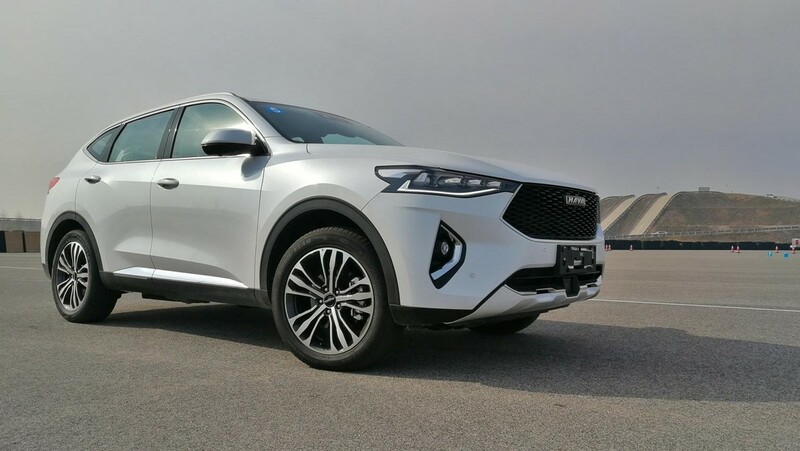 While in China, we were also afforded the opportunity to drive the marque's flagship product, the Wey VV7, which is a sporty, premium SUV and the new GWM Steed 7 pick-up, but neither of these are likely to make it to South Africa. Regarding the latter, GWM South Africa has stated that it will rather stick to the Steed 5/5E and Steed 6 models for the commercial vehicle market, while the all-new leisure pick-up, which is due to be unveiled at the Shanghai Auto Show next week, will compete with the Toyota Hilux/Ford Ranger when it comes to SA... possibly in 2021. Smooth and sophisticated in appearance, the H6 is one of the largest vehicles in its segment. 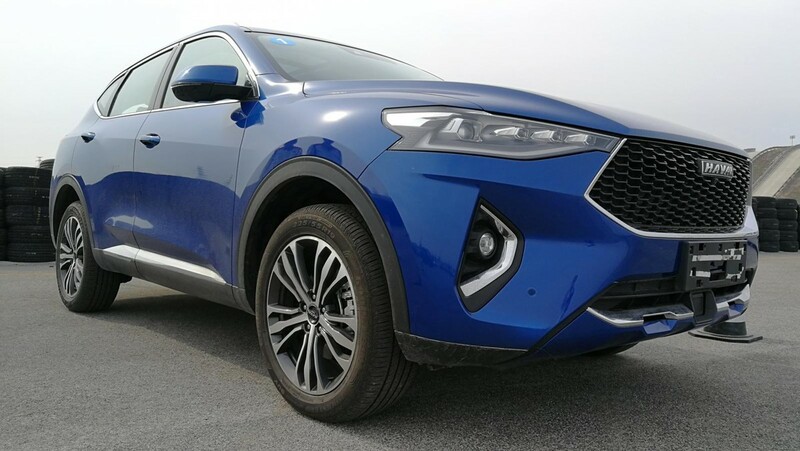 The H6 is one of China's most popular vehicles overall, regularly topping sales charts and easily outselling the SUVs South Africans will view as its most obvious rivals, the Volkswagen Tiguan, Mazda CX-5 and Toyota RAV4. It's one of the larger offerings (4 610mm long, 1 860mm wide) in its segment, and its dimensions translate into excellent passenger space – legroom in the rear is particularly impressive. But passenger space has always been a hallmark of the H6, so that's no surprise. What is a surprise is how upmarket the cabin looks and feels... Usually it's round-about here where we would insert the usual caveat "... for the price...", but that no longer applies. The new H6's facia design, trim fittings and ambience are easily a match for the best from Germany and Japan in this segment. 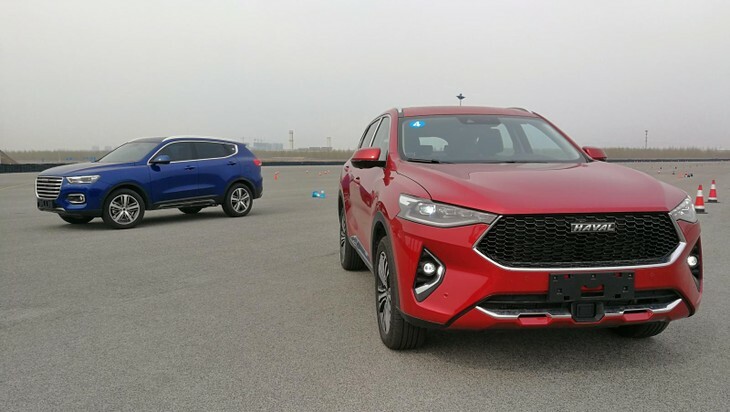 It feels like a substantial vehicle from behind the steering wheel, a perception that was reinforced when our test driver took the H6 over some of the poor surface test routes at the company's sprawling proving grounds in Baoding. There wasn't a rattle or squeak. The H6 is powered by a 2.0L turbopetrol with 145kW and 345Nm of torque. South African specification still has to be finalised, but the H6 is offered in China with items such as wireless charging, partly automated parking, multiple camera views and panoramic sunroofs. The smart 9-inch touchscreen infotainment system and 12.3 inch digital instrumentation are likely to make it to South Africa too, but it remains to be seen what functionality that screen will provide. Haval is very aware of the need for Apple CarPlay and Android Auto in markets such as ours but as of yet there's no offering. We're told it's currently in Research and Development and were quizzed extensively about usage patterns in our country. Hopefully these items become available soon. Under the bonnet is a 2.0L turbocharged four-cylinder engine that delivers 145kW from 5 200 to 5 500 rpm and 345Nm of torque from 2 000 to 3 200rpm. It is mated with a 7-speed dual-clutch transmission that also offers a manual shifting mode (via the lever, no paddles), and there are 3 pre-programmed driving modes (Sport, as per usual, makes the car more responsive). With premium materials, a fully digital dashboard and striking facia design, the H6's cabin is right up there with the Germans. We weren't allowed out on China's public roads but were give the opportunity to drive the H6 over short test routes at the Baoding/Xushui test facility. Later we were also taken onto the high-speed oval with the same vehicles. It's really difficult to form a definitive view on a vehicle in such a short space of time, but based on the time we had with the cars, it is quite clear that the H6 represents a big step forward for the company (compared with what South Africans have experienced from the brand thus far). It's a quiet, comfortable-riding car that has more than enough power, but there are possibly 2 areas that could do with further improvement (these also apply to the F7). Firstly, there's still noticeable turbolag... It has to be said, however, that Chinese-market vehicles often have a different mapping to our local vehicles, so we'll reserve final judgement until it's been driven on local soil. Secondly, the engine is not the most free-revving unit in its segment - there's a coarseness to it that comes to the fore particularly under hard acceleration. Similarly, the transmission feels perfectly fine during "normal" driving, but can be caught out when driven more enthusiastically. And we can only hope that the current line-up's fuel thirst has been improved. The claimed consumption for the 2.0L is around 8.0L/100km. The H6 could be sold locally with 1.5L turbopetrol (120kW/280Nm) engines, too, but a diesel is unlikely at this stage. 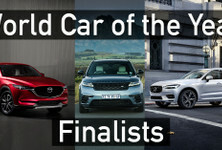 When it arrives later in 2020 it will have to compete not only with the current segment leaders from Toyota, VW and Mazda, but there might also be an all-new Kuga to contend with, as well as the Koreans (Kia Sportage and Hyundai Tucson). 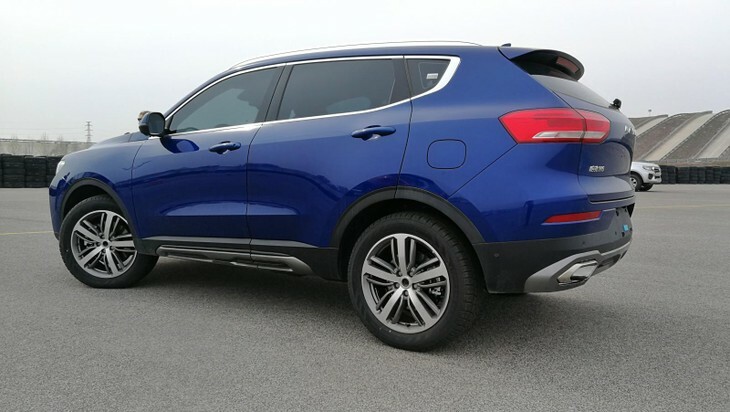 As it stands right now and provided GWM/Haval gets the local specification/pricing right, it would appear that the contender from China is no longer knocking on the door, but has taken a seat in the club with the big boys. The F7x features the type of fashionable sloping roofline first brought to the market by the BMW X4 and Mercedes-Benz GLC Coupe. This boldly styled newcomer is likely to be positioned slightly higher up the pricing ladder than the H6, but is actually very similar in overall size (though a tad longer, and with a longer wheelbase), and even makes use of the same drivetrains (1.5L and 2.0L turbopetrols). Inside the cabin it is however completely different to the H6, with its own unique facia layout that's both attractive and very modern. It's rare to see a car at this price level with such crisp and clear digital displays, for example. A variety of trim options are offered and one of the vehicles available for testing even had an oxblood red leather interior. Again... the quality of the actual trim items will raise eyebrows. 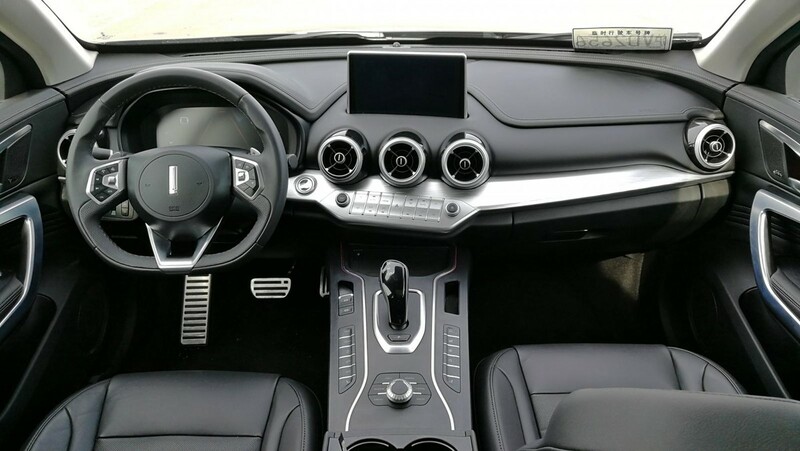 When specified, the leather trim extends to the dashboard and the doors, too, creating a very "premium" ambience. 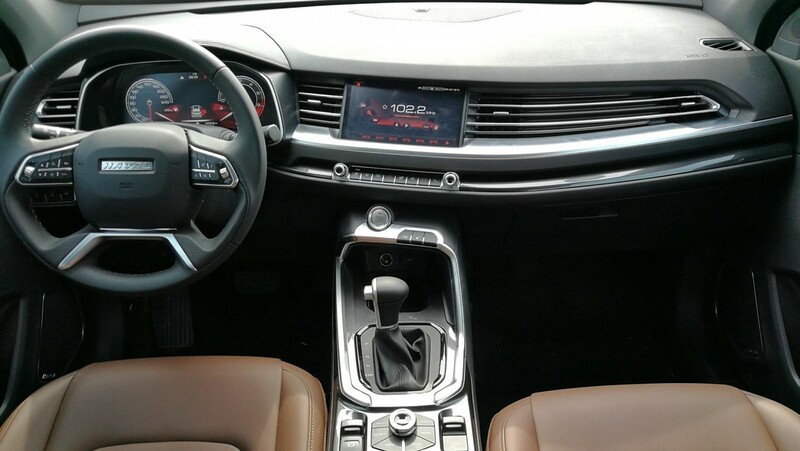 Although the H6 and F7 are closely related, their exterior and cabin designs are very different. Note integrated large touchscreen. 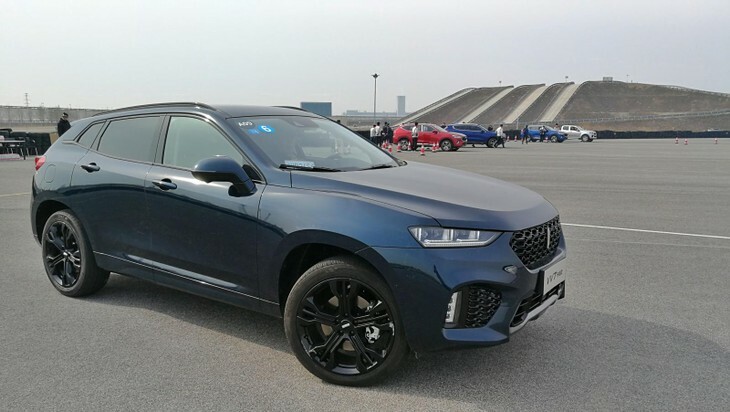 An interesting variant that is also apparently coming to South Africa during the second quarter of 2020 is the F7x. Think of BMW's X4 and you won't be far off the mark... The only difference between it and the standard F7 is the sloping tailgate. Rear space remains good, but if you're taller than 1.8m your head may touch the rooflining. As the F7 and F7x use the same engine and transmission combination as the H6, and ride on the same basic underpinnings, the driving experience is similar. These new SUVs are set up for comfort, so the ride is on the soft side, which is good for a family SUV, and the cabins are quiet. The steering is perhaps slighly too vague, but this won't bother too many likely customers. We did notice, however, that the F7 featured steering-mounted shift paddles, which the H6 didn't have. 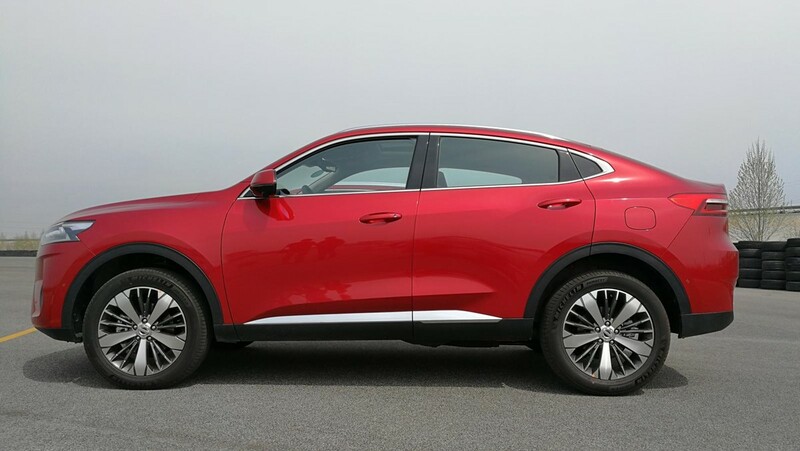 In China, the F7 is also available with all-wheel drive, but the availability of this remains unconfirmed for South Africa. As is the case with the H6, the F7 is available with a wide range of safety features, including rear cross traffic alert, lane change warning/assist and a 360-degree camera view system. 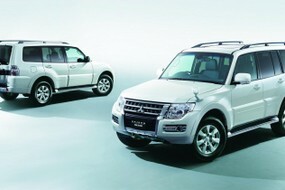 We suspect Haval will use very high standard specification to position the F7 and F7x above the H6 in the local market. 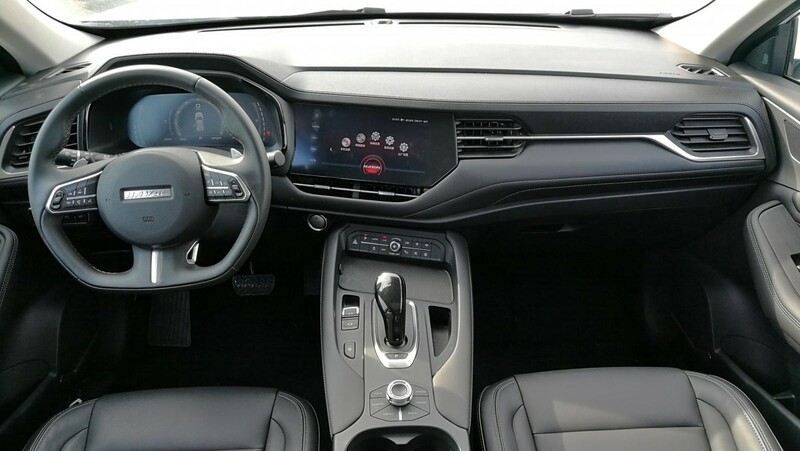 It's worth noting, therefore, that in some markets the F7 is offered with features such heated/ventilated seating, active cruise control with automated braking, automated parking and even a fragrance system. 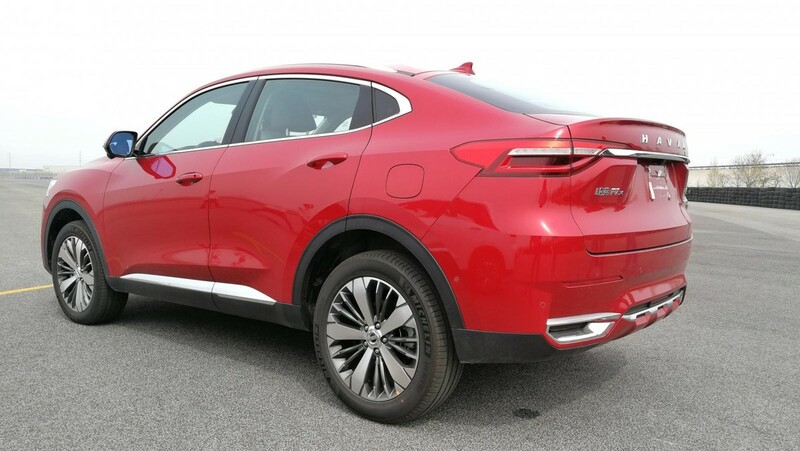 Sadly not likely to come to South Africa, the Wey VV7 is a stylish crossover that's also good to drive. Named after the chairman of the company, Wey is to Haval what Lexus is to Toyota. Compared with already upmarket Havals, Wey products are sportier in their design, more powerful, more dynamic and, inside, even more luxurious. Based on the social media response to our images from China, this is a vehicle that potentially could resonate well with South Africans but it's not likely to reach our shores. This is a pity, as it was rather impressive during our short test drives, feeling more responsive, more refined and sharper dynamically than its more comfort-oriented siblings. Plus, it has a 172kW/360Nm version of the 2.0L turbopetrol engine, and you can feel it... The tie-up with German tuning firm Brabus to further "enhance" Wey products therefore makes perfect sense. Wey is GWM's flagship brand and as such offers the company's most advanced features and best finishes. 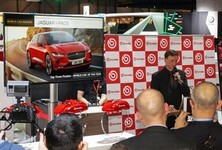 Wey has already made an appearance at the Frankfurt Motor Show and several prototypes have been caught testing in Europe, so this very likely is a product that will reach those sophisticated markets in the near future. 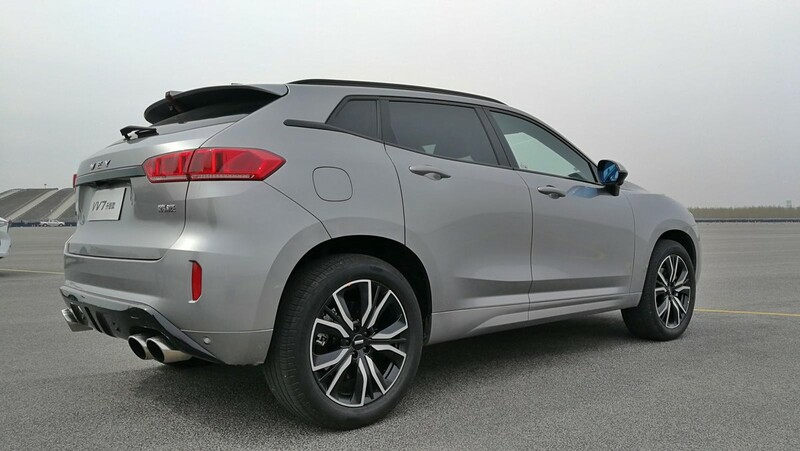 Styled under the guidance of Haval's former design chief Pierre Leclercq (ex BMW), the VV7 looks like a potential Range Rover Evoque rival in the making. Who knows... maybe next iterations of this vehicle will reach our shores. Wey has already rolled out an even more advanced plug-in hybrid version called the P8. 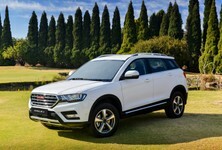 With very few Chinese marques left in South Africa after the big initial influx of about a decade ago, GWM/Haval is now comfortably the most established and successful. Now, with these new products it is rapidly moving up the desirability ladder into direct confrontation with the market's big hitters. Several of our readers suggest that Haval could be the Huawei of the car world, due to its ability to offer quality products that effectively rival offerings from premium brands, but at a significant price advantage. After experiencing the new H6 and F7 in China, that description doesn't feel inaccurate at all.